Fast Track Program - Your bridge to Germany! I was enrolled into UDE via the Fast Track Programme offered by Mercator office. 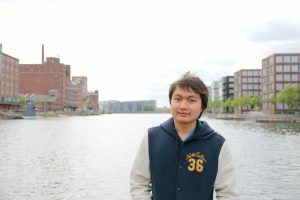 I am studying Mechanical Engineering in the ISE programme, and today marks one year of living and studying in Germany. 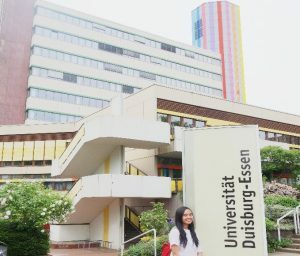 To start off, I would not say that studying engineering in Germany is the easiest thing I’ve ever done, being in a foreign country, mastering a new language, learning subjects in German alongside managing all my meals and chores. Nevertheless, I am very grateful to be given this opportunity; falling, tripping and overcoming the challenges, I grow into a more independent and stronger person day by day. The education system here is very different, it is up to my own disciplinary to show up for every class or none; besides lab reports, we rarely need to hand in assignments/homework. I am impressed with the cleanliness of the city and the transportation system here in Duisburg. I am very thankful to be able to expose myself to a new culture, learning and discovering new things everyday. 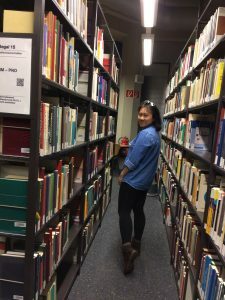 Studying in Germany is one of the best decision I’ve made. Since I arrive here, I experience a lot of new things and surprises every day. The weather here is awesome, especially Spring. I was lucky enough to have a snowy winter last year (2016 winter), where the whole space outside my apartment was covered by snow. The lectures here are very flexible and not compulsory for attendance, but on the other side, the exams are not easy to make it. I had to work extra hard to get myself to pass all the subjects for every semester. 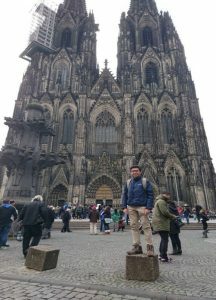 Besides studying, I also spent some time travelling around NRW with my semester ticket. During Christmas period, me and my friends even visit each and every Christmas market in the state! I could say that I never regret coming here to start and enjoy my university life!